On the eve of the 11-11 Gateway for 2017, we affirm the powerful stream of higher alignments that have flowed through to Earth, into the light grids, into the collective consciousness and energy field so far this year, deep, potently shifting, profoundly beautiful and uplifting. In lower vibrational layers where there is resistance to the upward shift, polarization of energies has manifested more extremely, and we ask you all to hold in your hearts and creative visioning, in your thoughts, words and actions, the vibration and feeling of peaceful resolution ~ that all dissonance and conflict around this planet, individual and collective, resolve in the highest light, in accordance with Divine Love, Purpose, and Joy. It is the nature of Love to transform and resolve all energies that have strayed from sacred awareness and expression back to the remembrance of embracing and being embraced by Divinity. The 11-11 Gateway brings a particular alignment of the Divine Embrace within us, through the double ‘twinned pillars’ of sacred union, through the One Flame that exists eternally and expresses through our inner soul light continuously. We’d like to illustrate this with a photo sequence taken on November 2, just before the last full moon, when the vibration of Divine Embrace was already rising and focusing into the alignment blossoming through this Gateway moment. This rise visualized beautifully through the positioning of orbs above and within the rim of a moon-bow ~ just let yourself feel the sacred movement of high, pure Light through the Arch of creation with the soul lights represented in these orbs, this is what we call INception…the ‘immaculate conception’ of Higher Self light codings into every atom, molecule, cell, every strand of DNA and RNA, into every subtle ion in our energy field, which in turn instantly transmits and radiates the Inner Divine Embrace to the planet and beyond, to all life. After this glowing ‘egg orb’ formed (with companion guardians/guides), the moon-bow clouds transformed within ‘the blink of an eye’ (you may have noticed time contracting or stretching in non-linear ways when high vibrational alignments converge…the closer the convergence into heart zero-point, the more pliable and timeless the experience) into a ‘fireworks’ shape with multi-coloured orbs, celebrating the actualization of embracing Inner Divinity. Feel the ‘egg of infinite divine potential’ you are, that all life is, trust yourself and the loving purpose flowing from the Heart of Source ~ smile, relax and let yourself stand perfectly aligned between the twin pillars of the 11-11, in union with your Inner Divinity. In this vibration, you are standing in natural relationship to the Divine. 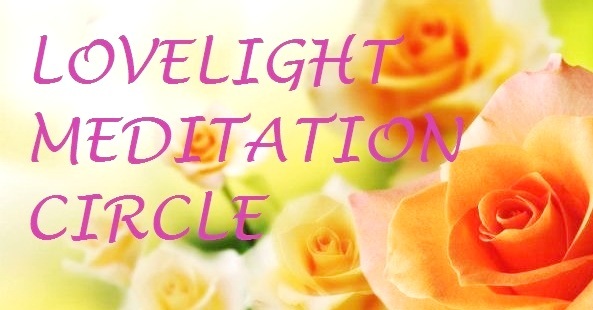 You might feel drawn to meditate with the sacred symbols of the vesica piscis and the double infinity or rose cross ~ feel how they relate to the 11-11 twin pillars (the vibrations of 22 and 4), to the meeting point of the sacred eternal embrace in the middle ~ within your heart centrepoint. We are the Resurrection of the highest Love, Light and Truth. We are the restoration of the Christed Goldenprint of Life, naturally and joyously expanding in Oneness, Peace, Grace and Harmony with All-That-Is. And So Be It. Back in July, we shared about a major star family mission to Kamura (see this post) in the Carina constellation, which transformed a shadow hub in this galaxy to an anchor and transmitter of the pure Light flowing from Source centre that we on Earth name and experience as ‘ascension frequencies’ ~ the higher dimensional Light flow catalyzing us on all levels to re-align with the unity, oneness, love and joy that exists at the core of all Life. The transformation of Kamura initiated ~ and is part of an ongoing ~ general loosening and freeing up of shadow/control transmissions through fourth dimensional astral and plasmatic screens and grids throughout this galactic region, facilitating numerous planetary shifts into higher vibrational expressions, whether initiating them, or allowing for their completion. One constellation experiencing this completion is Ursa Minor, the Little Bear or Phoenix Bear, of which Polaris ~ Earth’s North Star or Pole Star ~ is the alpha star. Ursa Minor has numerous inhabited planets; some were already in high vibrational states ~ the Rokadians and Rosarins are closely connected to the Arcturians, with Angelic higher soul aspects, also akin to the Spicans of Virgo, in these areas that are cradles, we could say, of the House of Meraia. Alpha Centauri & Southern Cross constellations, with a ray ship upper right, Aug. 6 2017. Emerald green door appears left of Alpha Centauri & Southern Cross, Aug. 6, 2017. Arcturian & Rokadian souls in a ‘high frequency band’ upper right, close to the position where the ray ship then appeared, Aug.6, 2017. Cloud-cloaked ray ship appears August 10, 2017. Rokadian ray hovers beneath a cloud, August 13, 2017. This focused light from star family groups of Polaris/Ursa Minor is amplified and enhanced by the restoration of a beautiful higher dimensional crystal. The Rosara Crystal, a large purple crystal with a cherry pink core, vibrating in sixth to tenth dimensional frequencies, is encoded with the quality of cherishment; it transmits the vibration of cherishing all beings, cherishing one’s self, cherishing life freely, cherishing the Divine ~ of going beyond attachment (love filtered through the conditional ego-self) to cherishment (love flowing unconditionally through the soul), which is the basis of emotional freedom. In this vibration of cherishing ~ Love’s tenderest warm embrace ~ beyond ego-attachment, with the melting away of anxiety, worry or fixed focus on possession and security that comes with it, in this eternal embrace, it is easy to be like Polaris…to be the still centre-point amid the swirl of the lower density storm, no matter how intense it becomes….to be centered in your axis-alignment to your soul’s ‘true north’ and simply BE a convergence point for pure Love, Light and Life. Being in this centre-point allows the soft, light, warm energies of the higher dimensions to take root in our reality, to anchor and become present to us (in both senses of the word, as the present moment, our Now, and as a gift we’re open to receive and share naturally). In this vibration, we enter the Emerald Doorway of the Inner Heart, and align with the Golden Gate of resurrection that dwells in every atom and spiral of our DNA, ready to receive and encompass all that we Are. This Gateway, white above, golden below ~ ascension and resurrection ~ formed overhead on August 26, 2017. *see the Inner Heart page for guidance on stepping into your inner heart realm.